Kick off was planned for 10am for the hackathon, but it was another early start for Mark and me – which turned out to be very fortunate as many of the people attending the hackathon arrived early, so eager where they to start building. Those attending ranged from the emergency services, local government, other public sector orgs, private sector companies and even an enthused data hacking postman. After a light breakfast, thanks to Ordnance Survey, Si Whitehouse opened proceedings as the facilitator for the day along with the great help of Neil Ford – an expert in hackathons. First off was the data that we had managed to secure for the event, much of it new, such as the Fire Service data from West Midlands police thanks to Jason and aerial photography street lighting from Hampshire Hub thanks to Mark. Also available was the open data generously given by the Environment Agency and Ordnance Survey as well as other data sets. So as to give the maximum amount of creative build time, people were asked to quickly pitch their ideas and whether they were seeking any skills from those present to help them succeed in their idea. Then it was off. People generally moved into small teams with a number of highly skilled people moving fluidly around so as to help many of the teams present. As lunch was served people were nearly literally being dragged away so as to refuel and have a break! So within a short time they were back at it making the most of the limited time that was available. At 3.30 Si called a halt to the proceedings so that people could pitch to the group their ideas and how far they had got with them. You can see live streams of the presentation here and here. 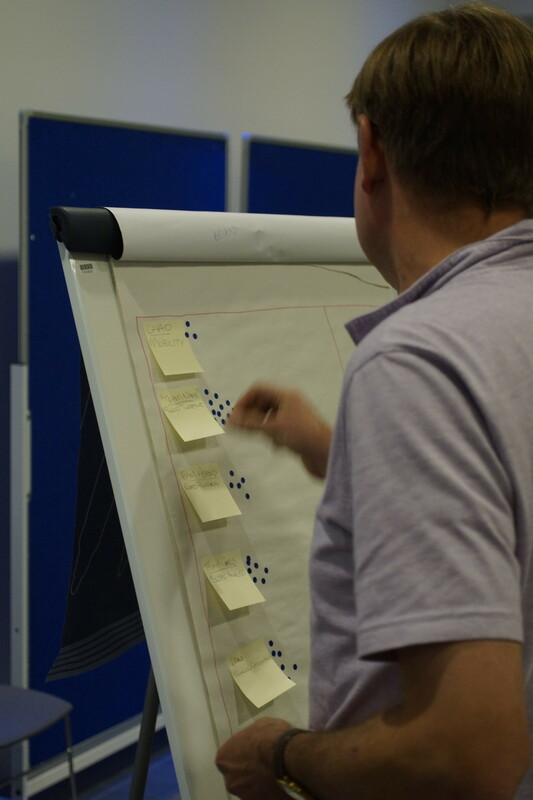 There was a total of five ideas put forward in the pitching session. These can be seen below. Everyone who participated in the hackathon was then given 2 stickers (dots) each and asked if they wanted to vote for their top two ideas, these have also been captured below. Well, so what was the drive for the people there? What were they told they would win? Up to this point we hadn’t offered a prize. Participants were doing this because they are socially minded and have fun working with others to come up with creative ideas. 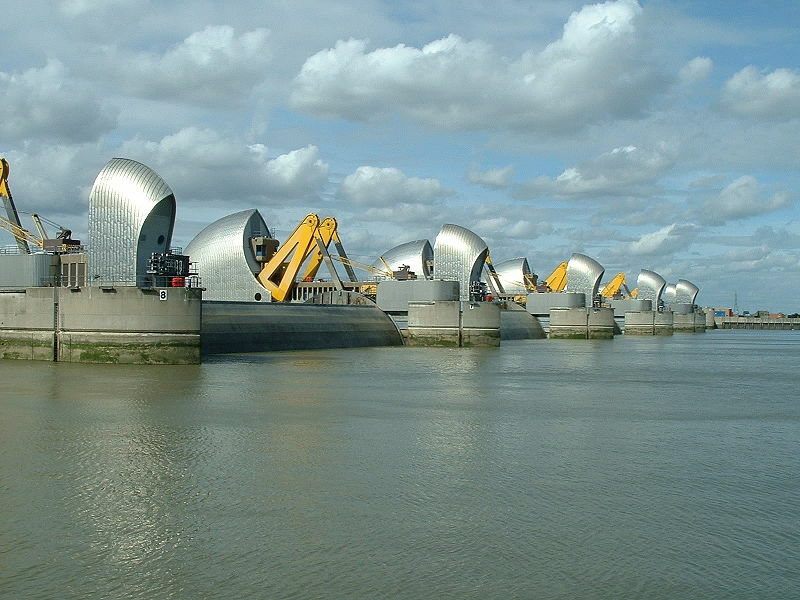 However, the wonderful folk at the Environment Agency offered a prize that money can’t buy: a VIP trip inside the Thames Barriers for the top three winning teams – WOW! We also had a second surprise for all that attended the Hackathon and were involved in the creativity… we are commissioning a unique drawing by the guys at Drawnalism showing all 5 ideas. The drawing is sponsored by CrowdControlHQ who, whilst not physically present at BlueLightCamp, were there in spirit. When it’s finished, prints will be produced of the drawing, and will be sent to all attendees. 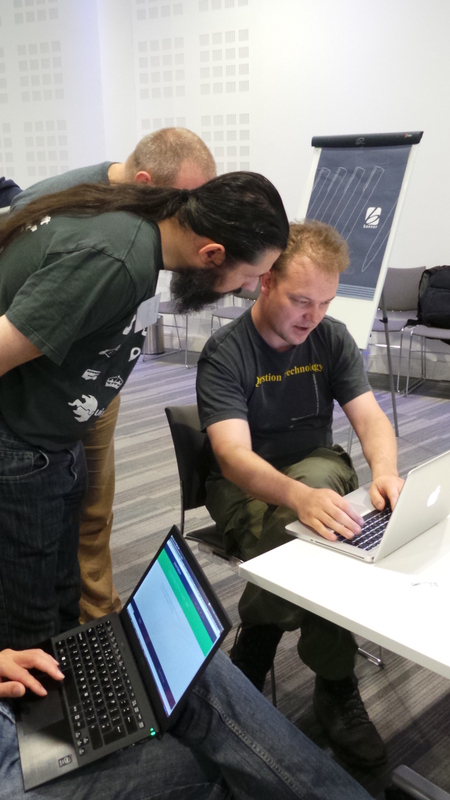 As organisers, Mark and I felt that this years hackathon built on the initial one we did last year, and we are looking forward to what comes out of next year’s event. Further information from this year’s ideas will be published shortly within this site.